The Endeavour is enroute from Florida to its new home at the California Science Center in Los Angeles. Tomorrow is a big day for shutterbugs in L.A. -- a chance to get a great photo of the shuttle over the area. The flyover is scheduled to begin about 11:30 a.m., with the shuttle carrier touching down at LAX about 12:45 p.m. 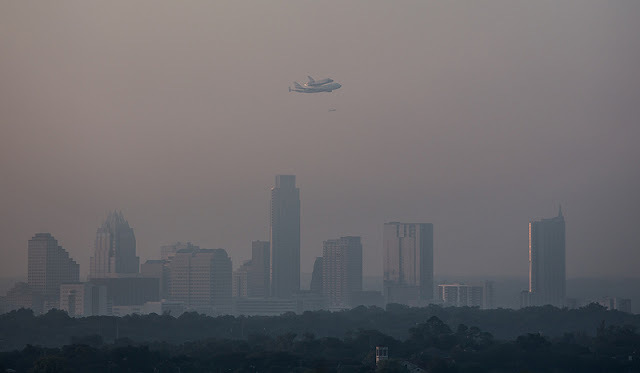 There's a great Flickr group with photos of the shuttle being carried west. I hope I have something decent to add to the group come tomorrow!